In this video tutorial we will show you how to run multiple dropbox accounts simultaneously in windows. Go to the “Start” menu. Find and open “Dropbox” program. Right-click on the dropbox icon and choose “Launch Dropbox website” to check that the application is running correctly. Close the web browser. Go to the Windows “Start” menu and choose “Switch user”. Select the other user account profile and if you don’t have a second account, you will need to create it before proceeding. Now go to the Windows “Start” menu and open your web browser. Type “dropbox.com”. On the following web page press “Download Dropbox”. Save the file on your hard drive. Double-click on the downloaded file to run the installation. 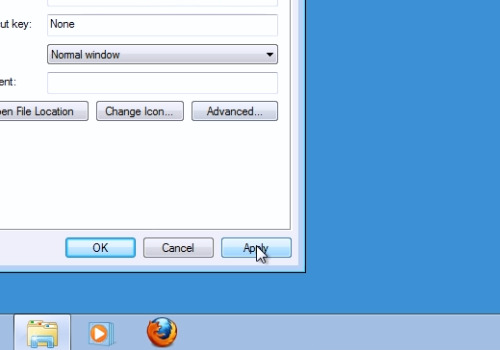 In the following setup window, press “install” to start the installation process. When the installation is finished, choose “I don’t have a Dropbox account” if you want to create a second account. In the next window, fill-in the registration form and click “Next”. In the next window select your Dropbox size and press “Next”. Choose “Typical” as the setup type. In the following window press “Skip tour”, then press “Finish”. Right-click on the Dropbox icon and choose “Exit”. 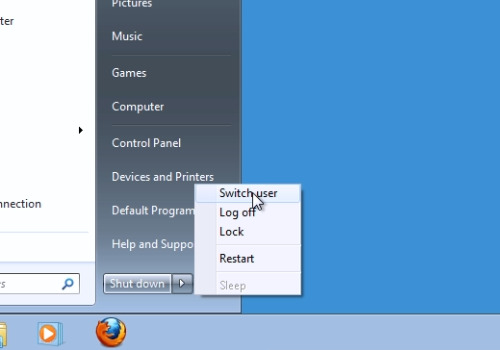 Go to the Windows “Start” menu and choose “Switch user”. Select the main user account profile. Go to your user folder and choose “AppData” folder. Then navigate to Roaming>Dropbox and open the “bin” folder. 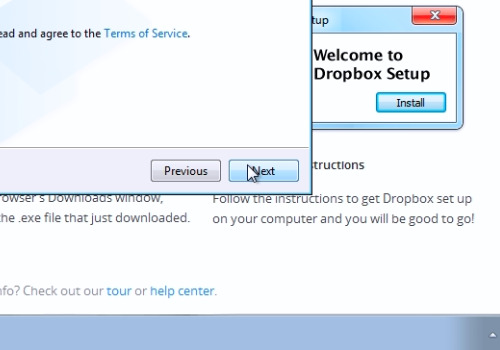 Right-click on the “Dropbox.exe” and choose “Send to – Desktop”. Right-click on the dropbox shortcut and choose “Properties”. In the following window go to the “Shortcut” tab. In the “Target” line, before the file address, type “runas /user:” and add the name of the second user account. Double-click on the shortcut. In the appeared window enter the password for your second Dropbox account. Now you can see 2 dropbox icons in the task bar.